Patchy Work of Mini Grey: Green Geese. I have had this block bookmarked in my "patterns" folder for a few weeks now. Had my blues and greens picked out. Made a block, just one to test the size. 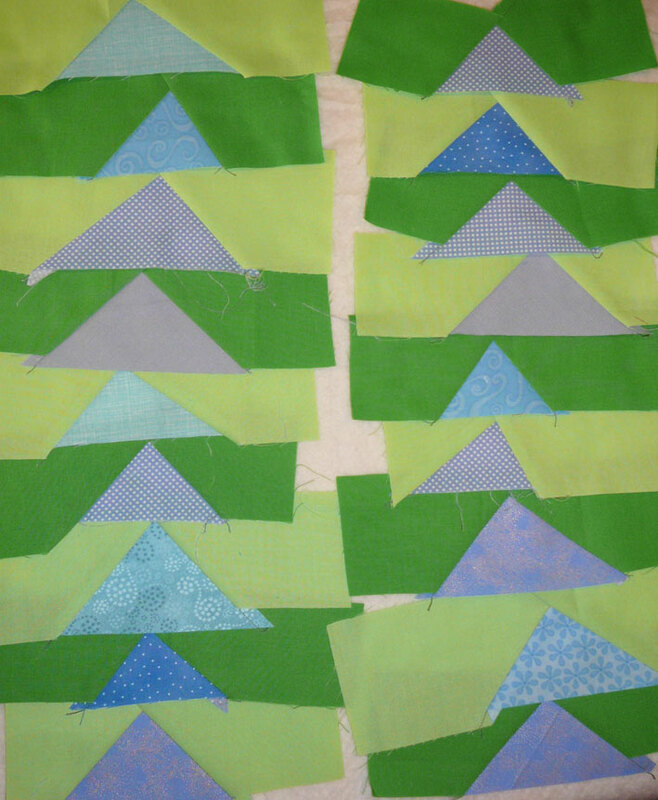 I get why they say do just one block before cutting all your fabric, I did one. It was terrible. All bulky seams, points not matching. Not even worthy of a blog photo! Straight in the bin! So with all my blues and greens out I was still looking for inspiration for another table runner. 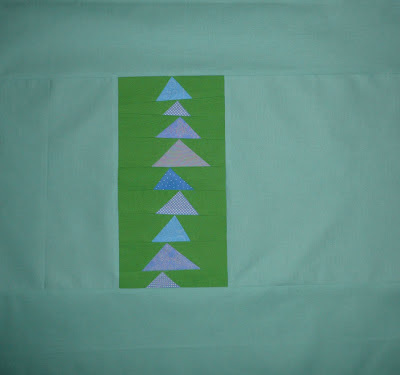 So I pulled down my copy of Liberated Quiltmaking 2 as I remembered them having a similar block. 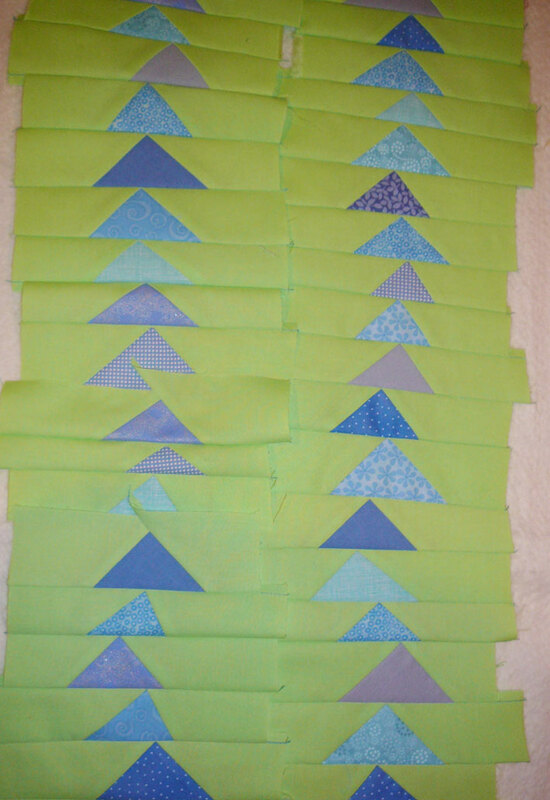 But while flicking through the pages I found the wonky flying geese chapter and thought aha, I'll do two rows of geese instead. A block were accuracy is not essential! More my style. So sewed these up yesterday and today. Was thinking dark, light, dark but nope, not working. So just gone for two rows of the light. The darker background aren't put to waste though, they'll make up a section of the backing! Wonky geese? Right up my alley too! I think I must try this too! Looks like fun!